The Gold, Copper, and Nickel that was allowed by Indonesia Government at year 1967 before Act of Self Determination in year 1969. Until now so many forest damaged, river pollution, and damaged environment near the area mining. Many Papua was killed the by Indonesia military, and the salary very small so Papuan protest and demonstration but some of the who demonstration was take out from Company and now they lost the job. So many Engineer only from Java and Sumatra. Freeport Indonesia plans to ask for a contract extension until 2041. Since the previous contract was started in 1991 will expire in 2021, Freeport has the right to obtain 2 additional contract extension of 10 years each until 2041. Before the contract expires, Freeport Indonesia wants to extend the contract because they know the exact amount of gold there. Freeport Indonesia has also just invested 125 million USD (approximately Rp 1.1 trillion) for exploration activities conducted in locations far from their current mining area, which include Puncak Sukarno. Surprisingly, the exploration result is very promising. 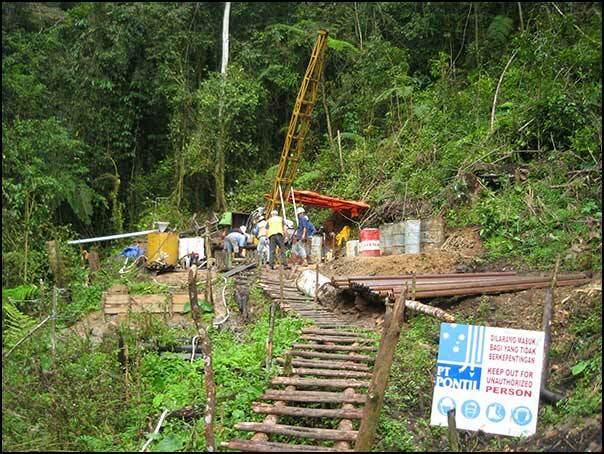 They found gold deposit far greater than what they have initially expected. Therefore, they definitely do not want to lose this very lucrative opportunity to seize it. Last year Freeport hiding about Gold but now they said the big Gold in this world, so they gave name Tembagapura (Cu Lie). Eight mont have been exploited and now they found new Gold field in Serui Sea. 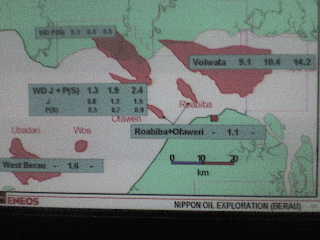 Source: Exploration Map by Nippon Oil Exploration (Berau) 2007. 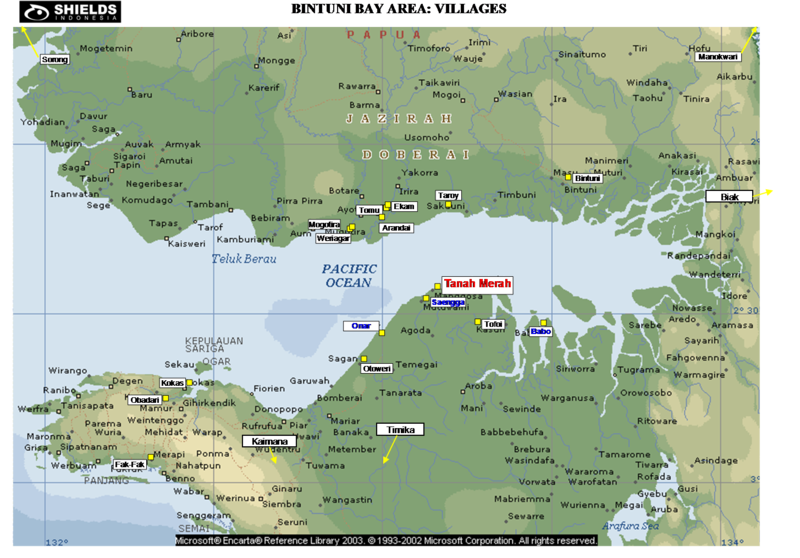 Gas Field in Vorwata 14.2 TCF, Roabiba 1.1 TCF, Otoweri 1.1 TCF, West Berau 1.4 TCF, Wariagar 2.4 TCF). The second target of BP is in Kaimana Block and Enanwatan Block and then in Fakfak area. Map of Bintuni Bay. (Click on picture to enlarge). 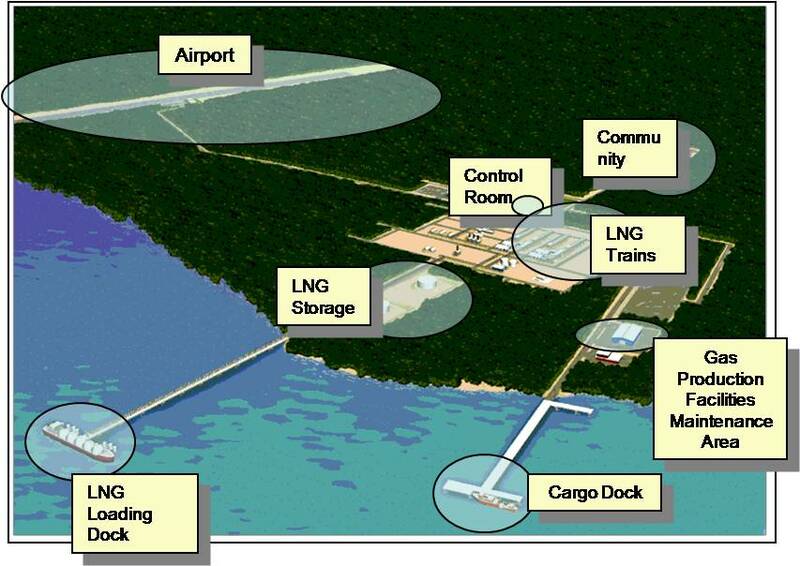 Indonesia's natural gas reserves are estimated to be the twelfth largest in the world, with a smaller amount of oil. Geological estimates suggest over 200 trillion feet (tcf) of natural gas and 77 billion barrels of oil. 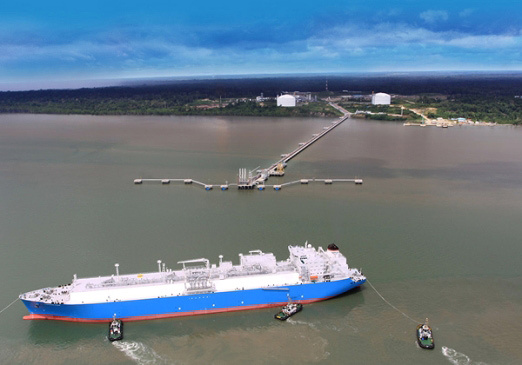 Nations interests in Indonesia represent the companyï¿½s first major foray into the natural gas business. 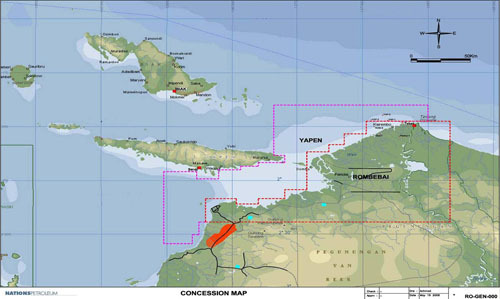 Our PSCs with the Indonesian government are for both onshore and offshore gas prone properties, at Yapen and Rombebai, in the province of Papua. Yapen PSC after exploration by NP. Nations owns 100 per cent of the Rombebai lease, an almost 12,000 sq. km parcel located onshore near Lake Rombebai on the northwestern tip of Paupua. 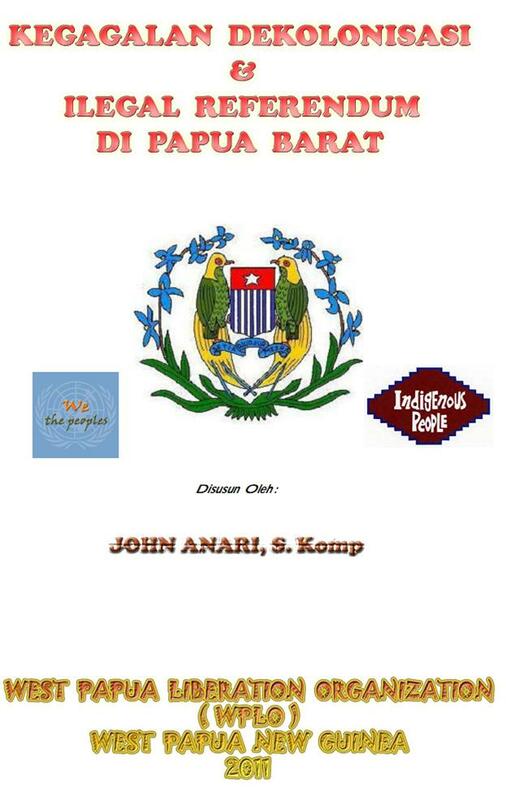 The Yapen lease is on the northern side of Papua, near the islands of Biak and Yapen, northwest of Rombebai. Nations owns 85 per cent of this lease. Nations also has two farm-in agreements in Indonesia. One is with Australian-based Cooper Energy for a 60 per cent interest in their PSC on the south side of Madura Island. The other agreement is with British-based Serica Energy PLC for a 45 per cent farm-in on their Biliton PSC. The Biliton PSC covers over 3,900 square kilometers, and is located in the Java Sea between the Indonesian islands of Java and Kalimantan. Rombebai PSC Location. (Click on picture to enlarge). 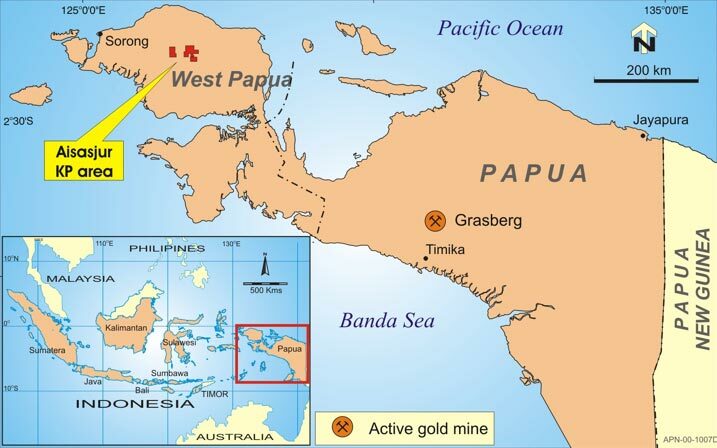 The Company has a 20% interest in a strategic alliance with the Anglo American Group (Anglo) to explore for large porphyry copper-gold deposits in the Papua and West Papua provinces. The interest is fully funded by Anglo through to a development decision. 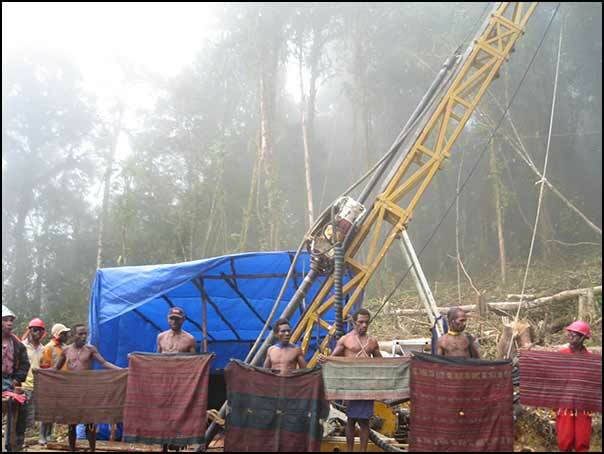 Aisasjur, the first project in the alliance, is located in West Papua at the western end of the Medial Papua-New Guinea magmatic arc, host to the giant copper-gold deposits of Grasberg and Ertsberg. 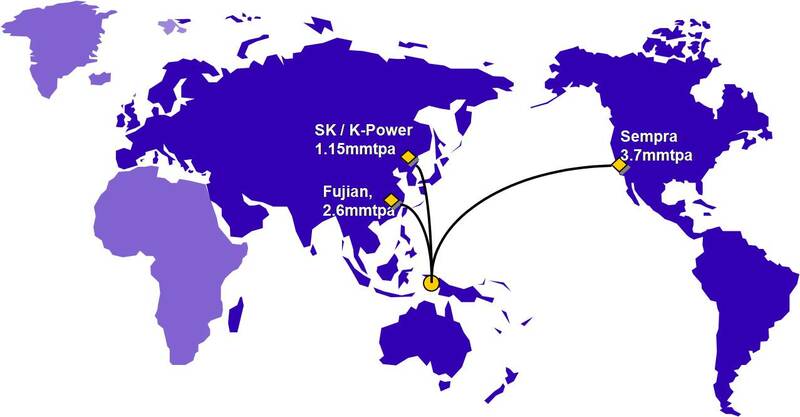 The original Exploration KP licence in this project covers 9,486 ha. 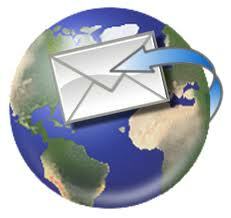 Two new KP's with General Survey status were granted to our Indonesian partner late in 2008. These add another 51,410 ha to the Aisasjur Project. Final results were received for the remaining two holes, ASD-29 and ASD-30, from the deep diamond drilling program completed by Anglo on the Aisasjur Prospect last year. Best mineralised intercepts were calculated by Anglo and are reported in the following table at a 0.1 g/t Au cut-off. 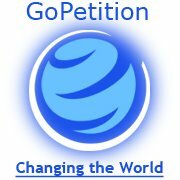 The information in this report that relates to Exploration Results is based on information compiled by Mr. Brad Wake, who is a member of the Australian Institute of Geoscientists. Mr. Wake has sufficient experience which is relevant to the style of mineralisation and type of deposit under consideration and to the activity which he is undertaking to qualify as a Competent Person as defined in the 2004 Edition of the ‘Australasian Code for Reporting of Exploration Results, Mineral Resources and Ore Reserves.' Mr. Wake consents to the inclusion in this report of the matters based on his information in the form and context in which it appears. Anglo proposes to undertake an airborne magnetics and radiometrics survey over the entire project area in the second half of 2009.